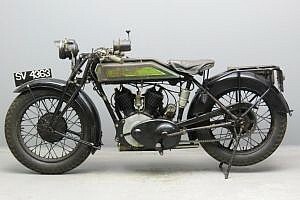 V-twins have been part of the Royal Enfield range since the presentation of a hefty 6HP JAP machine for sidecar work at the Olympia Show in November, 1911. 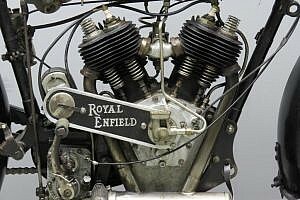 Motosacoche, JAP and Vickers engines were employed till the factory decided to start producing its own V-twin engine from the 1925 season. 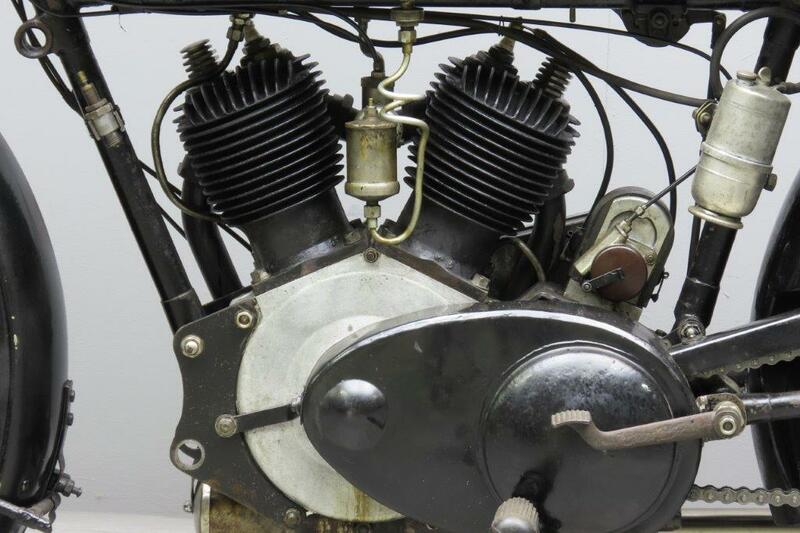 This was a single-camshaft 976 cc side valve design and the new model was presented in two configurations, the Model 180 Tourer and the Model 182 Sports. 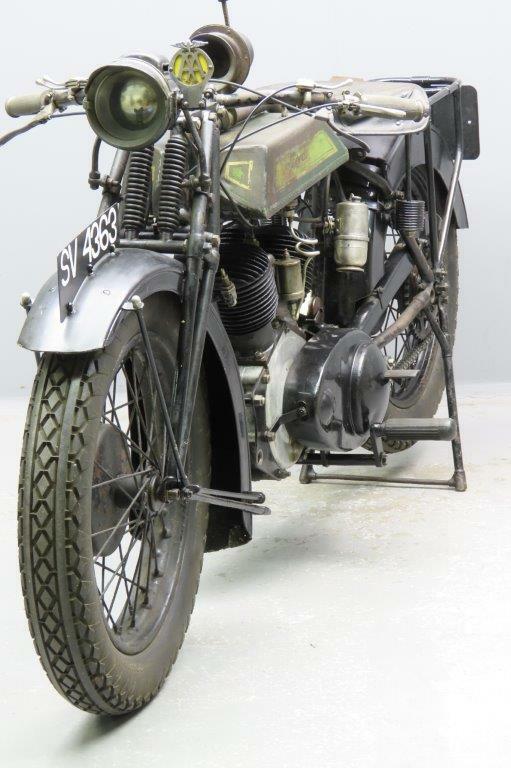 The latter had low handlebars and double tubular silencers and both models sported a power output of about 27HP. 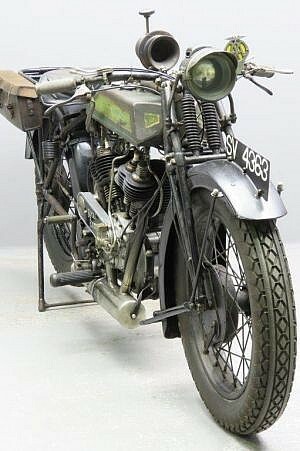 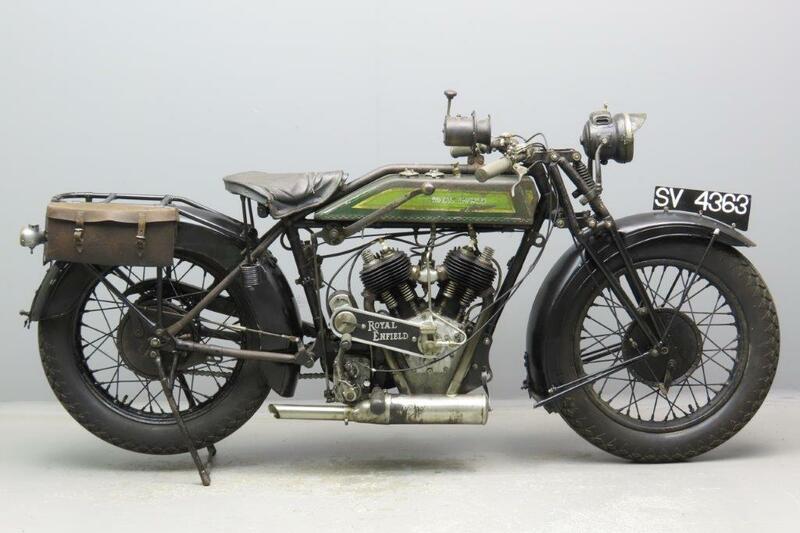 The big twin was to be available until 1940; in 1933 a 1140 cc version was added for export markets. This version, the famous Model K”, wasn’t seen on the home market until 1937. 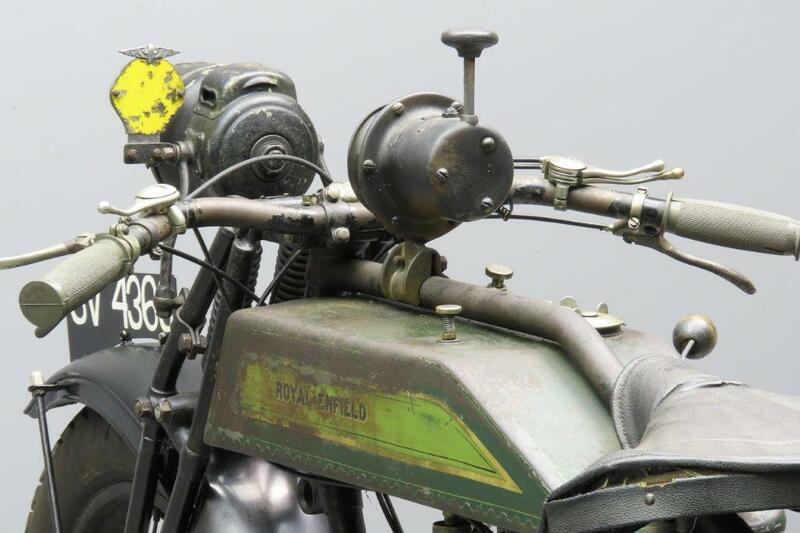 The new twins were fitted with 8 inch internal expanding brakes an a Sturmey-Archer 3-speed gearbox. 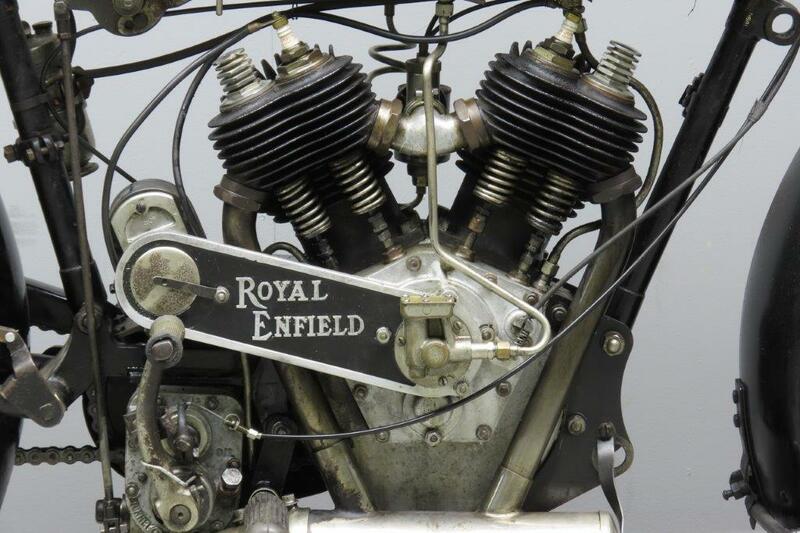 They delivered maximum torque at about 1500 rpm so the 180 offers a comfortable ride at near tickover in third gear. This sturdy vintage tourer comes with acetylene lighting and Hand Claxon and still shows a lot of its original paint.